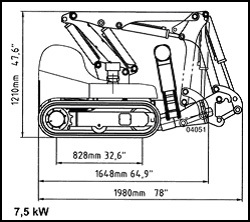 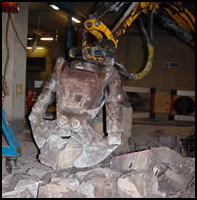 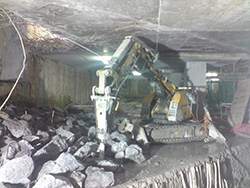 Lightweight powerful robots are ideal for controlled demolition by crushing method where smoke noise and vibrations are of critical concern . 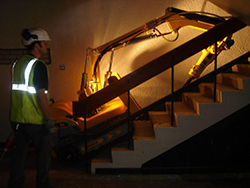 Equipped with a breaker, a bucket, or a crusher, capable of climbing stairs and compact enough to pass through doorways and work in confined spaces. 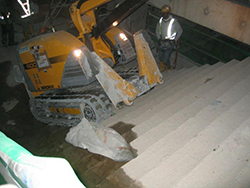 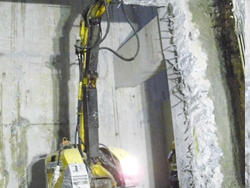 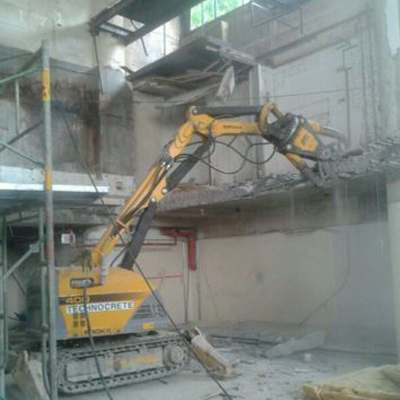 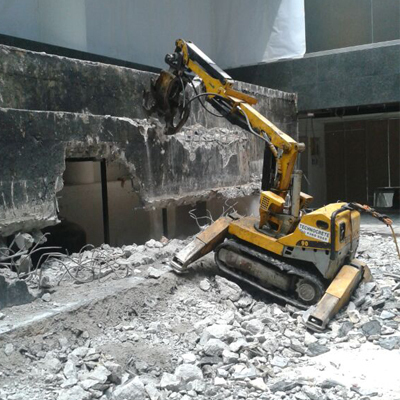 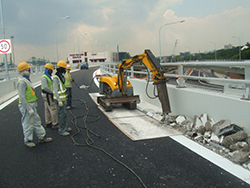 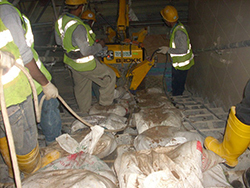 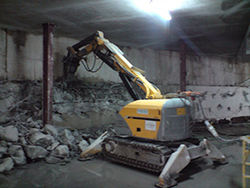 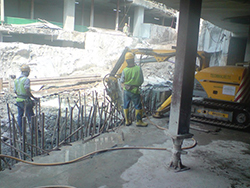 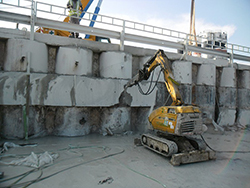 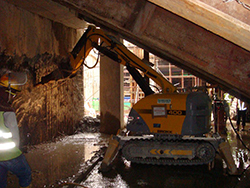 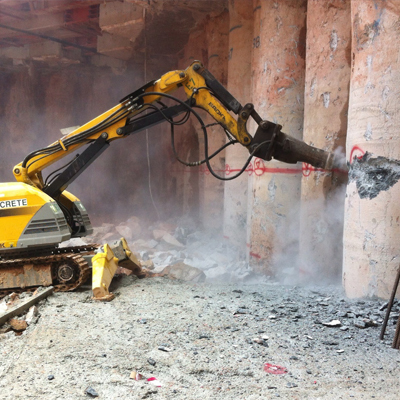 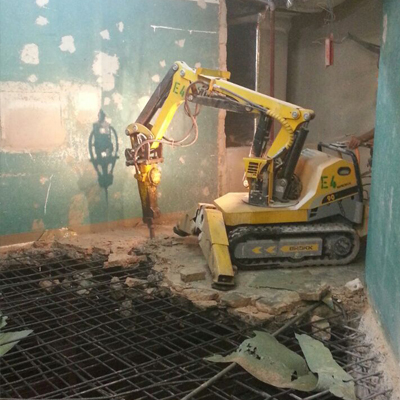 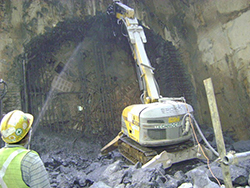 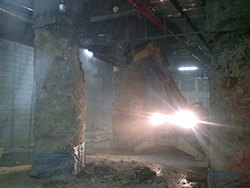 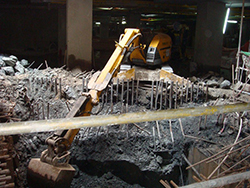 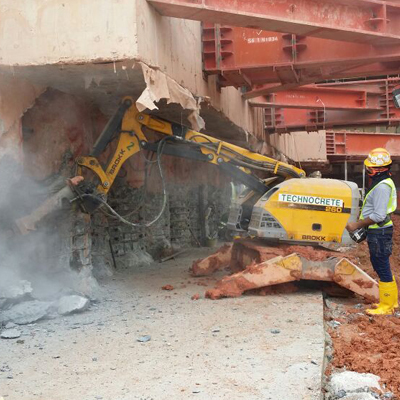 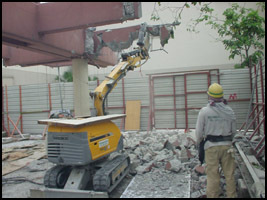 The machine is controlled via a remote console, thereby enhancing the safety of operator during the demolition process. 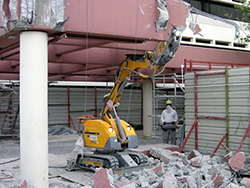 The robot is powered by three phase electrics, which is ideal for use inside the building since it is free from exhaust fumes. 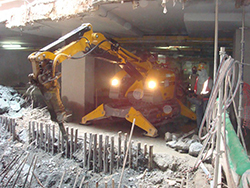 This machine delivers the power, speed and versatility of several machines combined into one unit. 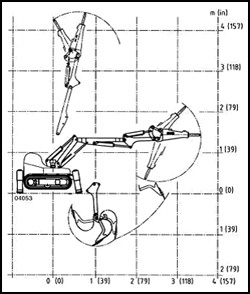 The chart below demonstrates the range of motion of the robot.